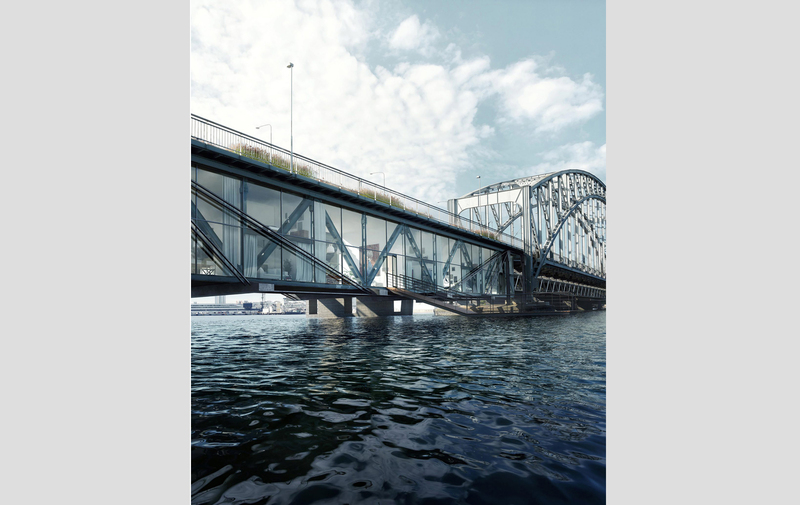 Practice Urban Nouveau has devised a radical way to save Stockholm’s Gamla Lidingöbron bridge from demolition: turning it into apartments and a linear park. 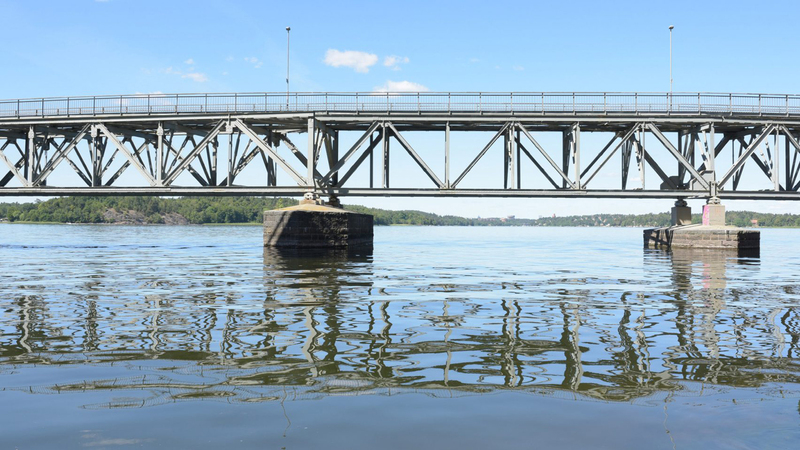 The Lidingö Municipality has slated the structure – which dates back to 1925 and is a rail and pedestrian crossing – for demolition once a new bridge is completed nearby in 2022. 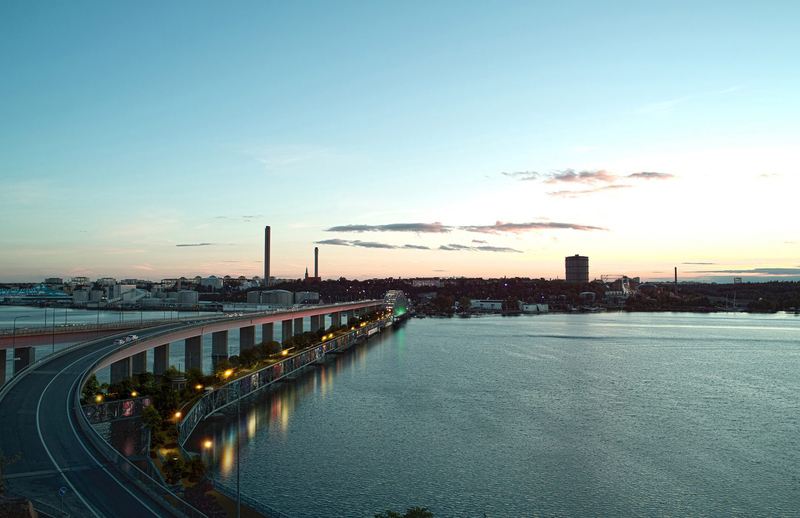 Urban Nouveau’s plans see the bridge’s steel structure converted into 50 glass-fronted apartments, with a public linear park above on the deck. 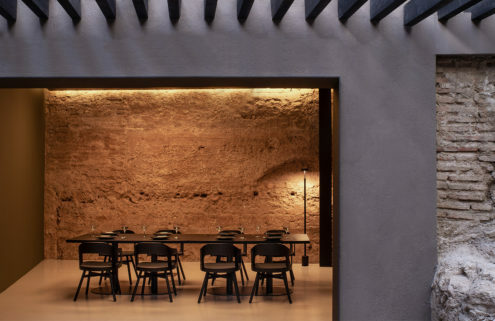 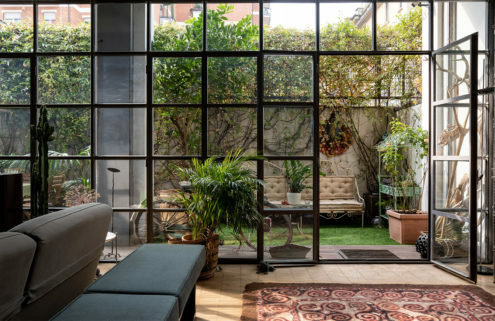 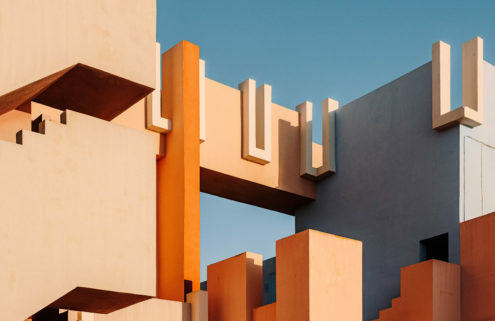 Following its adaptive reuse, boltholes would be accessed via lifts and staircases, and feature double-height living spaces to capitalise on the bridge’s dramatic volumes. 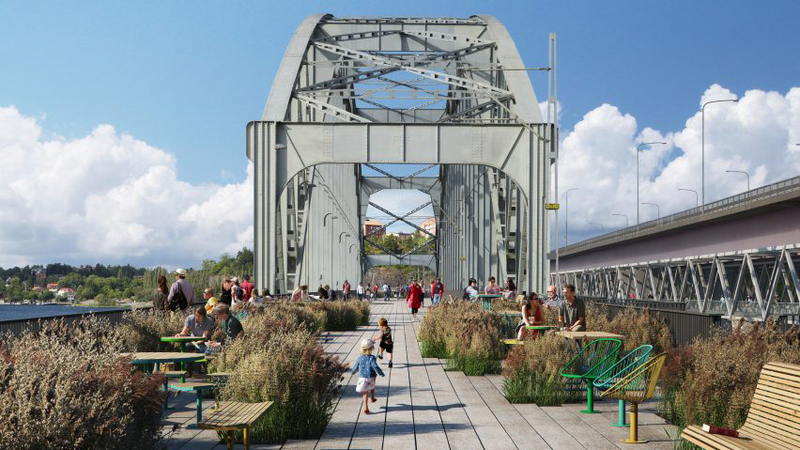 She adds that the sale of the apartments would fund work to the bridge as well as the creation of the linear park.